Please choose the options: Bookmark type, size, quantity, extras, double or single sided, to get an instant price. If you can't find what you are after you can click here to contact us or click here submit a quote request. 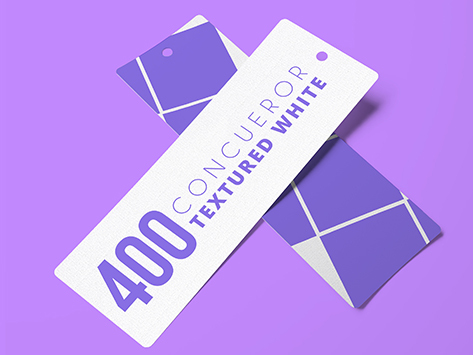 400 Conqueror texture white.High quality and classic double-linen textured. It's the perfect premium stock for the subtle elegance. With our bookmark, we can grab their attentions every time they sit down with their favourite books.or can be used to make events ticket, achievement prizes, or make a thoughtful touch for your personalized bookmark. Tips: keep the design simple and have same actions like your website.